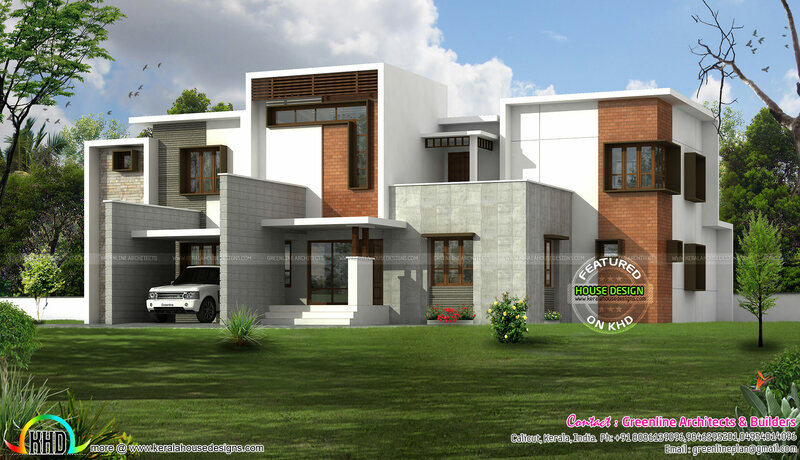 Beautiful box type contemporary home design in an area of 3289 Square Feet (306 Square Meter) (365 Square Yards). Design provided by Greenline Architects & Builders, Calicut, Kerala. 0 comments on "Box type home in beautiful style"